Fab card and the image is super. Thanks for entering our challenge. Cute as a button Maureen, he's a cutie isn't he? 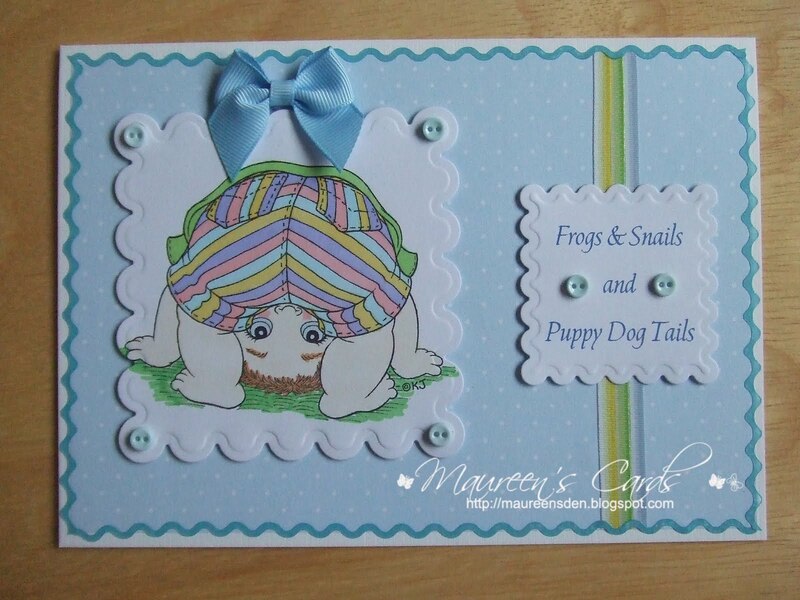 what a cute baby boy card. Love how you have colored karens image. Just perfect. Thank you so much for joining the fun at Karens doodles this week. This is really cute! I love howyou coloured his shorts!!! THANKS for joining us at Karen's Doodles this week! !